A group of black vultures, Coragyps atratus, hang out together, enjoying the winter weather at Wakulla Springs in north Florida. This entry was posted on Thursday, August 17th, 2017 at 10:22 am. 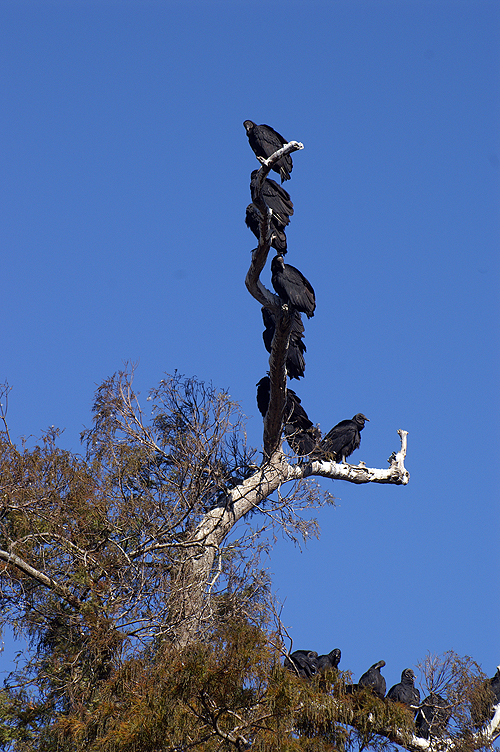 It is filed under Animals / Wildlife, Landscape, Nature, New Images and tagged with birds, black vultures, Coragyps atratus, roosting. You can follow any responses to this entry through the RSS 2.0 feed.